What a marvelous week this has been! 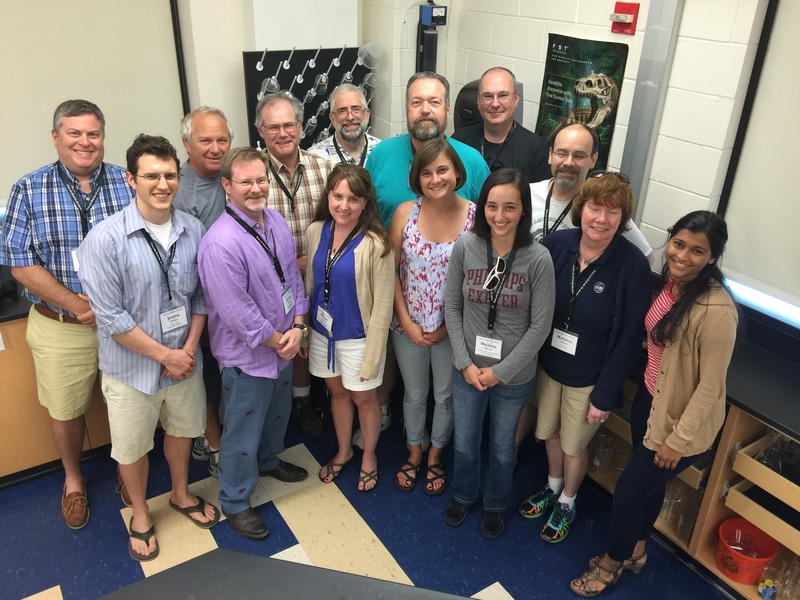 We had 13 visiting educators here for detailed discussions and hands-on learning about astronomy, astronomy education, technology and methods…. all excellent! Left to right, back row: Ben Moss, Peter Pitman, Brad Vietje, Joseph Acker, Tom Rutherford, John Blackwell, James Dickens. Front row: Joseph Putko, David Temple, Wendy Curtis, Faith Tucker, Miranda Heller, Maureen Adams, Anisha Vinod.